If you were the older sister, how responsible would you feel for your younger sibling? Having lost your parents and raised your younger sister, you would feel motherly toward her and responsible for seeing that she does not make irreparable decisions with her life. This is Fliss’s dilemma. Lottie has a history of romance entanglements that end in frustrating break-ups. She also has a history of making rash decisions after each break-up which months later, she regrets. This last break-up is no different. Richard just wanted to continue the way they were, Lottie was already preparing to choose her wedding gown. Enter Ben. Lottie and Ben have not seen each other in 15 years. Their love affair during their college gap year has left memories that have endured due to the unique passion and, let us face it, mythical fantasies of the mind. In only takes one meal, a few drinks, and a spontaneous proposal to push Lottie into an entertaining chase to wed and consummate her marriage. 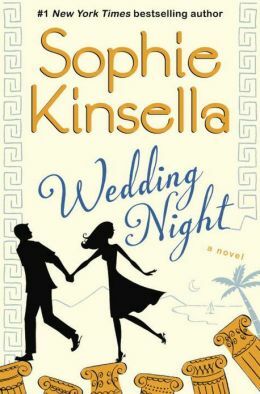 As any responsible about to be divorced sister would do, Fliss must stop this wedding. Fliss wants Lottie to avoid making the mistakes she herself has made in life. If unable to stop the wedding, she must at least prevent consummation so an annulment will be possible. The story develops from here as a madcap chase and devious scenarios to prevent the newlyweds from consummating their “love”. Unlikely allies such as Ben’s financial adviser (Lorcan), Richard (yes, he misses Lottie and cannot live without her), and Noah (Fliss’s seven year old son) make this an unforgettable and delightful story. These women are at times on steroids hysterical. Although I think this story would have benefited from a strong editor, if you can overlook these parts of the story, you will find laughter and enjoyment as the chase ensues and the frustrated newlyweds try to become creative in their endeavors to consummate.